There is a vast range of diet and exercise applications available on the various mobile platforms that promise to help us lead a healthier life style, and the new MyFlexDiet iPhone app helps with weight loss but with flexibility. MyFlexDiet has recently been released and the iOS application allows users to consume one treat for the day, and then it works out the menu for the remaining meals for the rest of the day making sure that the calorie intake meets the users set target. The app promises to provide both flexibility and structure for a diet plan to help aid weight loss with an active weight management system. Users will be able to enjoy some of their favourite foods while still managing to lose weight. After a user has chosen their food items for one meal of the day the applications works out a menu for another two meals, while suggesting food items from the users chosen food categories which will meet the set level of calorie intake for that day. Food categories can be changed by the user for each meal and food items can be substituted while the serving size is kept under control. There is a simple to use interface and it only takes a short time to develop a meal plan for the day ahead. 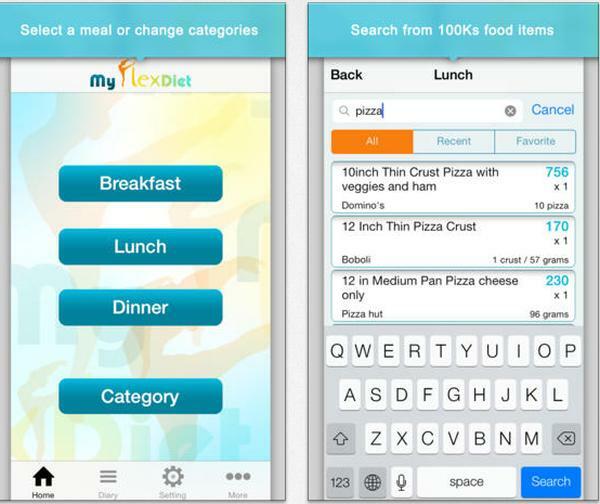 MyFlexDiet is available on the App Store in a free version or the premium edition costs Â£2.49/$3.99 for owners of the iPhone, iPad, and iPod Touch running iOS 6 or later.